Quick card today. 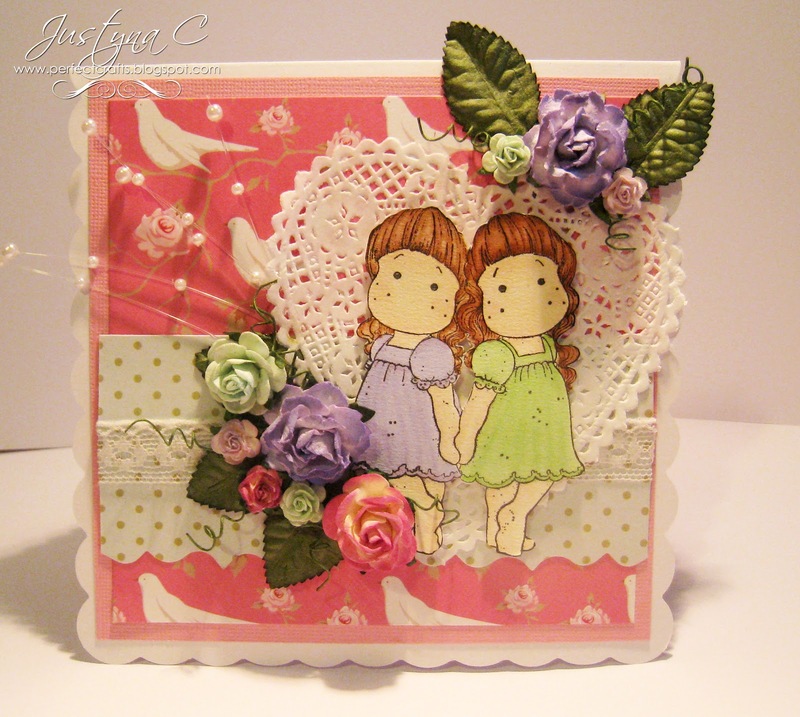 I used Twin Tilda’s stamp – I love it. Paper is from Tilda – Flowergarden. Embellishments – Wild Orchid Crafts.